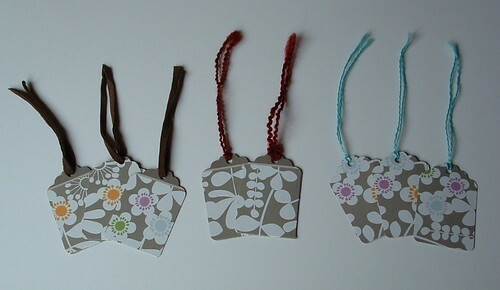 Here are some gift tags I made from a pretty Kleenex box I had. 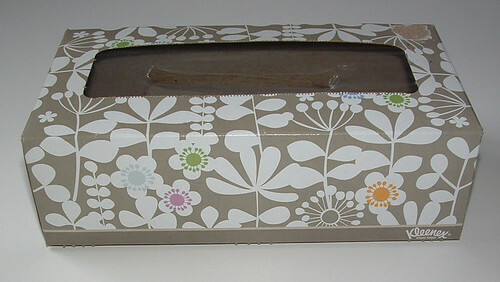 The box was just so cute that I wanted to recycled the cardboard into something useful so I got out my tag die cutter. I cut as many tags as I could from the panels of the box and then used a hole punch to put a hole into the top of the tags. I used scrap yarn and some leather strips for ties to finish off my gift tags. Here is one other set of gift tags I cut from another Kleenex box. The bottom had some plain white so I cut out a few of those to show you that with some pretty yarn, they make great gift tags too. For the other tags, I used pieces of plarn (plastic bag yarn) for my ties. Here is my version of an Altoids tin repurposed into a pincushion and sewing gadget box. The materials used in this project were from an Envelope of Doom (EOD) swap I participated in. If you aren’t familiar with an EOD swap, its where you put some crafting materials into an envelope and mail them off to your partner. The challenge is to use the materials you receive to make things for your partner and then return the finished items back to your swap partner. 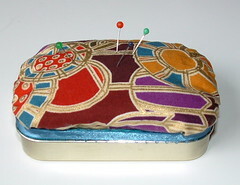 It was a fun swap and this pincushion sewing box was one of my creations from the materials I received from my partner. 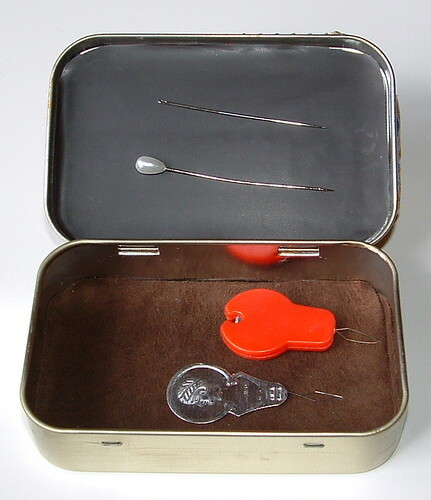 I was inspired by this Altoids project which used a magnetic sheet on the inside of the lid to hold needles and such. There are lots of different crafting versions and great ideas on the web for reusing the tins. Over at Craftsters Rackycoo’s tutorial is outstanding and has step-by-step photos showing how to decorate your tin. I used a few ideas from the post to finish off my Altoids pincushion box. This week I present my latest recycled plastic bag project. 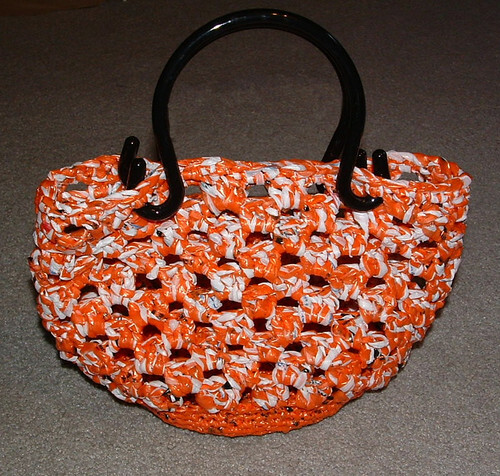 I call this my orange crush plarn purse. 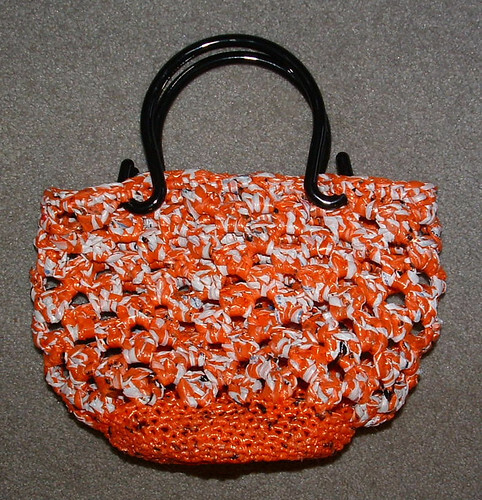 The purse was crocheted using orange newspaper bags and white plastic grocery bags. You can check out my plarn making tutorials that show how to make the bags into a yarn from either newspaper or plastic retail bags. The base was made using just the recycled bags from orange newspaper delivery sleeves. 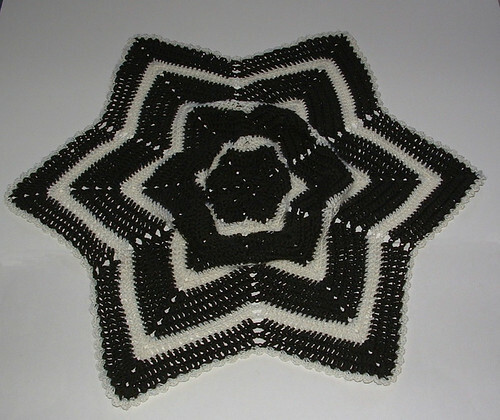 I then crocheted with two strands of plarn held together — one strand orange and one white. 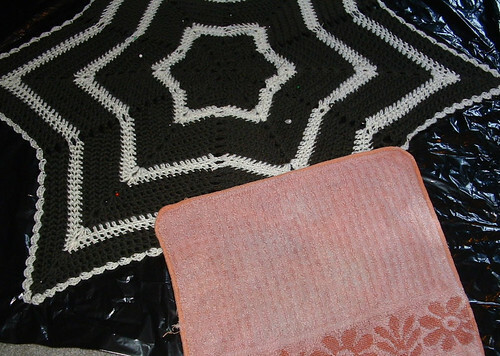 This combination created the orange and white color blend for the main body of the purse which was crocheted using a granny stitch. Next I added a beautiful pair of purse handles that I picked up from my local thrift store. I was so excited to purchase these brand new, still in the package, handles for just 99 cents. The black handles just added a great final touch to the purse. This cute purse crochet pattern can be found free over at Debi’s Hooks and Yarns blogspot. 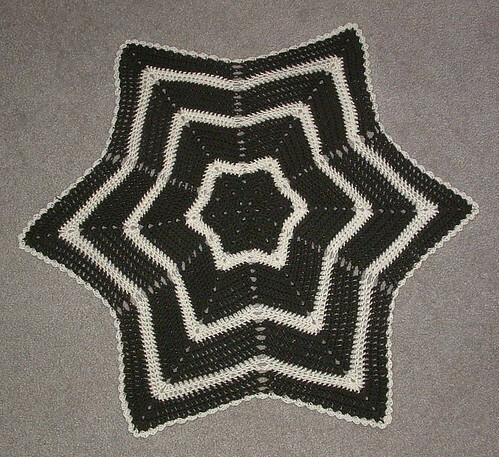 I modified her pattern by working 10 rounds in the granny stitch as I needed just a bit more height for my purse. 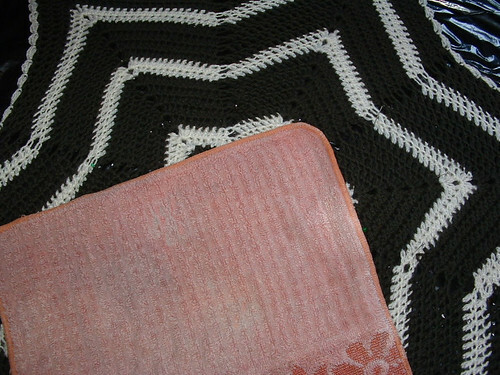 Debi crocheted her bag using two strands of worst weight yarn so you can change up this pattern pretty easily depending on if you want to use plarn, yarn, or even tarn (t-shirt yarn).